Always got time for a new Ben Hopkins film. Just about hangs together on wacky charm. See you in a few years, Mr Hopkins! British writer/director Ben Hopkins returns with an enjoyably offbeat film industry satire. Ben Hopkins is a funny one. He’s been quietly knocking together movies since the late ’90s, dancing in his own eccentric circle and eluding anything that might be described as mainstream success. But his films are great – jocular and lyrical treatises on globalised economies and cultures. Even though this madcap latest, Lost in Karastan, feels like his largest scale project to date, there is little discernible attempt to make that connection to a big, broad audience. 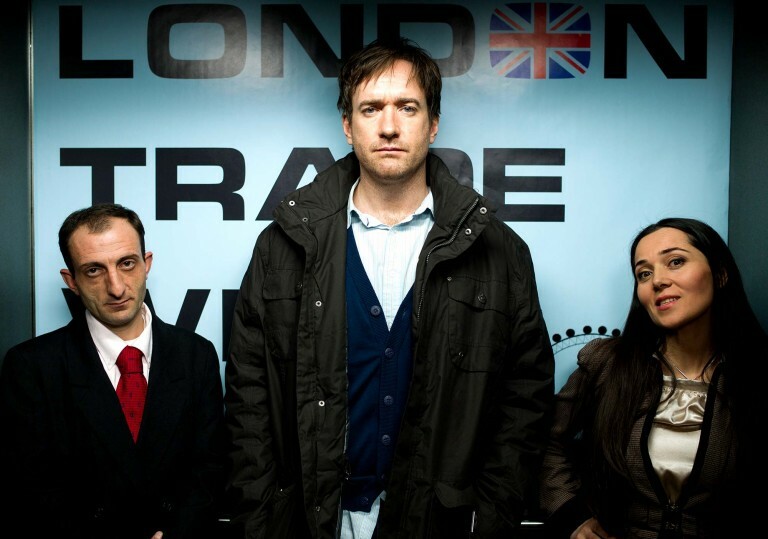 The possibly autobiographical film allows us into the loopy world of European film festivals, as the fictional backwater of Karastan announces one of their own and programmes a retrospective of work by pompous British short film director Emil Forester (Matthew Macfadyen). When he arrives at the airport and has to hand over a cash bribe before he’s even officially entered the country, the lay of the land has been set. For the remainder of the film he pings around like a gormless shill, eventually agreeing to make a film for the extremely corrupt but charismatic President Abashiliev (Richard van Weyden) which will star hack barbarian actor, Xan Butler (Noah Taylor). keeping the funny foreigner jokes in check. The film’s total lack of formal finesse is perhaps fitting of its ramshackle subject, though it’s occasionally a little too loose for its own good. That you have to question whether Hopkins intends this shoddiness to be ironic is not good. It recalls Woody Allen’s Stardust Memories in the way it mocks the paradoxical pretensions of a film director, who is on one hand archly dismissive of philistines, but on the other would be happy to impart his wisdom if the price is right. Hopkins also has a pop at gentile Brits out of their cultural depth, unwilling to immerse themselves in new communities and always thinking about whether there’s someone back home available to feed the dog. 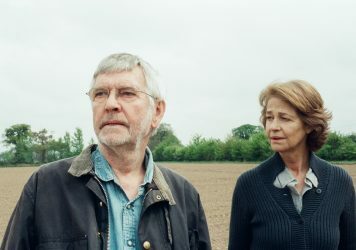 Charlotte Rampling and Tom Courtenay are on top form in Andrew Haigh’s devastating relationship drama. Director David Gordon Green over-seasons this cynical political satire starring Sandra Bullock. Sandra Bullock’s spin doctor reminds us of another memorably strong and highly strung antiheroine.